It’s Monday and that means it is time for another edition of DCN Presents: The Watchtower. Each and every Monday, we will ask a certain question and on the following Monday the best responses will be featured in that article. Each time you answer the question of the week use the hashtag, #DCNTower. 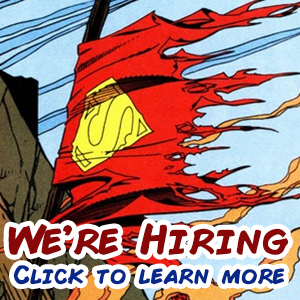 We use this as a way to interact with you, the fans, and also see what other DC fans have to say. Ranked first on IGN‘s 25 Greatest Batman Graphic Novels, it’s only natural that this “masterpiece of comic-book storytelling” would make it on this week’s DC Comics News Watchtower. 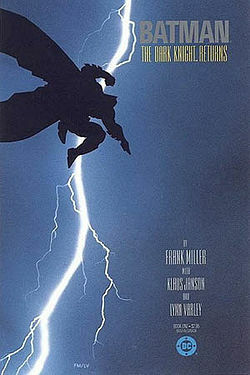 Frank Miller’s The Dark Knight Returns might as well be responsible for creating the dark characterization of the Caped Crusader that is still channeled to this day, and if you were wondering who would win in a fight, Batman or Superman, you will find your answer within the pages of this novel. Anyone powerful enough, or in this case, clever enough to find a way to break the Man of Steel is not to be trifled with. Lex Luthor may not be more powerful than a locomotive or faster than a speeding bullet, but the man certainly knows his way around an ingenious scheme. 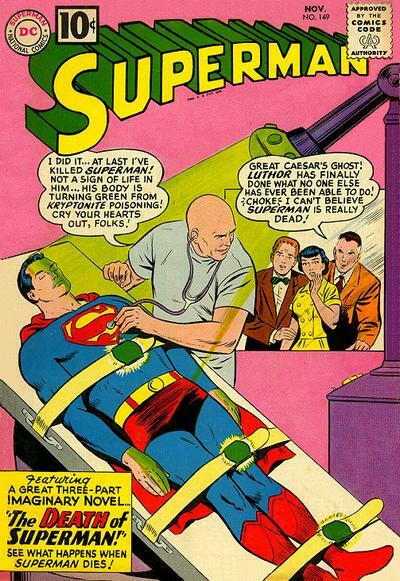 This wouldn’t be the only death of Superman. If fans will remember, Superman met his demise at the hands of Doomsday in Superman (vol. 2) #75.
Who doesn’t love a good crossover event? 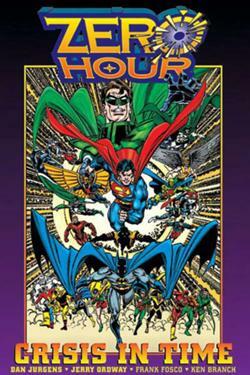 Throw in a couple alternate timelines and realities, and you have one epic story, not to mention that the main storyline featured Hal Jordan as Parallax. Maybe Hal should have listened to whoever said that the road to hell is paved with good intentions, but who can blame him for wanting to restructure the universe and correct things that are wrong? Those darn surface dwellers! What have they done this time? 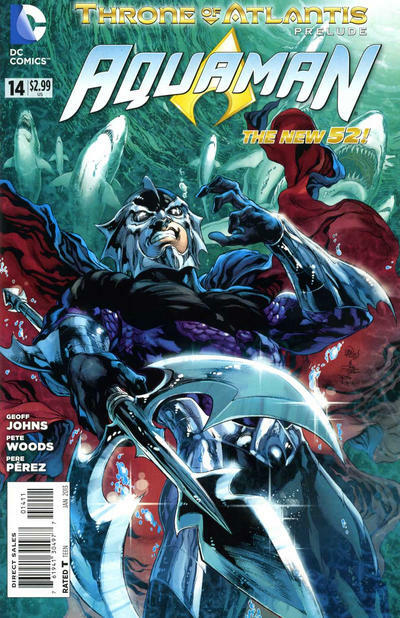 Aquaman’s allegiances are torn between his brother, King Orm, and the Justice League in Geoff Johns’ Throne of Atlantis when Orm, otherwise known as Ocean Master, declares war on the surface world. Speaking of Throne of Atlantis, keep an eye out for the animated film Justice League: Throne of Atlantis, set to release in 2015. 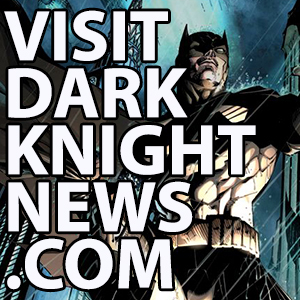 This week’s question is: What is your favorite DC animated film and why? Remember to add the #DCNTower to your answer, so we can find it easier. 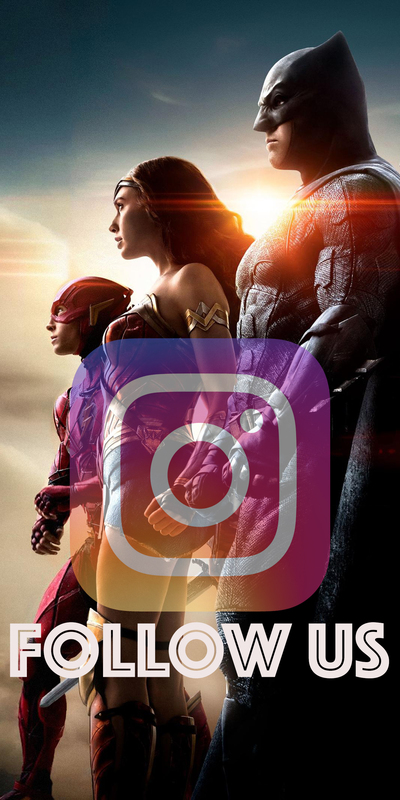 You can comment on Facebook or Twitter (@dccomicsnews).